founded in 1321 by Keizan zenji. 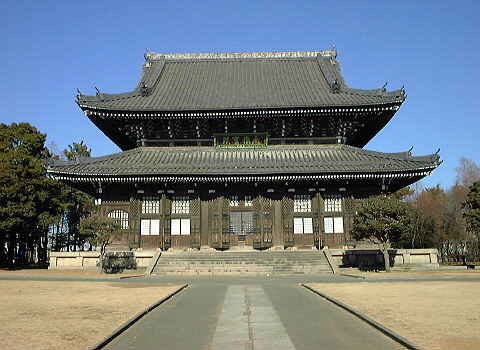 founded in 1244 by Dogen zenji. Dogen Zenji , the founder of Eiheiji , was born in 1200 A.D. When he was 24 , he went to China and devoted himself to true Zen practice under the strict guidance of Nyojozenji at Mt.Tendo. 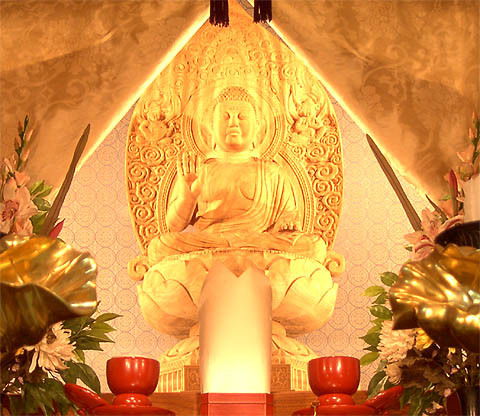 After having "dropped off both body and mind,"realizing the way of the Buddha, he returned home in 1228. He lived at Kenninji temple for 3 years, then founded his first temple, Kosho-Horinji in Uji, Kyoto.In 1244 Dogen zenji and his followers visited Shii-no-Sho in Echizen (now Fukui Prefecuture) to build a mountain temple. He was offerd land and other help for this by Yoshishige Hatano , a samurai who was one of his most devoted lay followers. 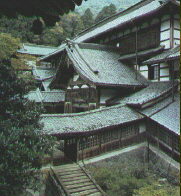 Dogen thus founded Eiheiji , where he devoted himself to training his followers in the perfection of Zen practice in every action of daily life. He died on September 29, 1253, leaving a number of noted books including the Shobogenzo, Gakudo Yojinshu, and Eihei Dai Shingi. Dogen zenji's authentic Zen has been scrupulously observed by his successors. Even today, both priests and lay people devote themselves to his practice of Shikantaza ("just sitting"). English explanation by Association of Soto Zen Buddhists.